The beautiful champagne crystal heart flutes are the perfect glass which is both elegant and pretty. 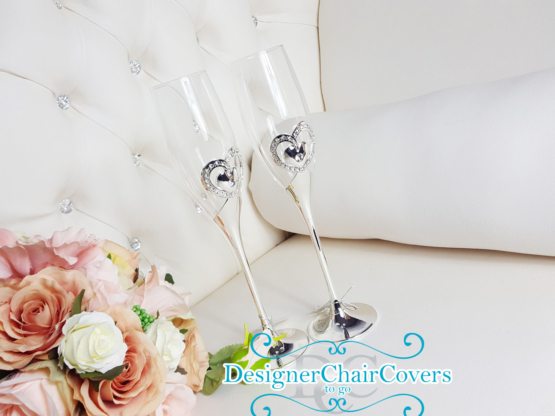 The detail on the glasses really are a show stopper. 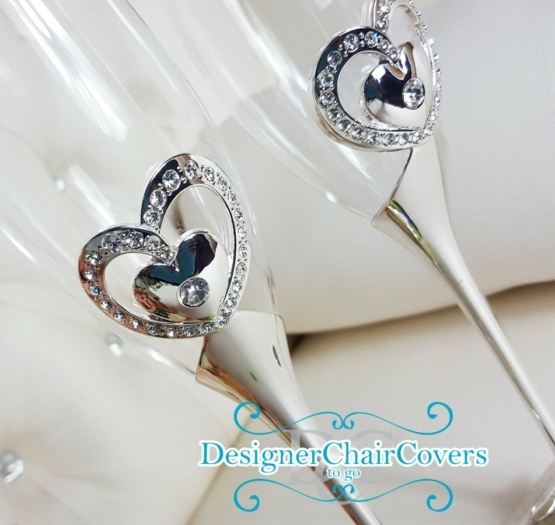 The tall elegant stem is a high shine chrome which leads into the beautiful heart shape and crystal detailing. Please note these items are for purchase not hire! Buy for a friend or for yourself! The glasses come in a presentation box so it is ready to be gifted. This item is for purchase not hire!